Jennifer Boden attended the University of Michigan where she earned a B.A. in Economics in 1986. In 1991, she received her JD from Yeshiva University, Benjamin Cardozo School of Law. Jennifer is an Associate at Bikkal & Associates. 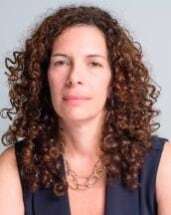 Before joining Bikkal & Associates Jennifer worked as a supervising attorney in charge of immigration programs in at the New York City Bar Association, Community Outreach Law Program, and as the director of the Immigration Legal Services Program at the Polish and Slavic Center in Greenpoint, Broooklyn. Jennifer also had her own private practice in New York, where she practiced all areas of immigration law. She has interned at Lawyers Committee for Human Rights, and is a volunteer at Neighbors Link in Mt. Kisco and Literacy Volunteers of America in Tarrytown.